← They Said I Wasn’t Fragrance-Free. How Can That Be? This entry was posted in Accessibility, Air Quality, Environmental Health, Fragrance, Pollution and tagged allergies, asthma, autism, cancer, chemical sensitivity, environmental sensitivities, essential oils, fragrance-free, hazardous air pollutants, health, IAQ, invisible disabilities, MCS, multiple chemical sensitivities, petrochemicals, scented products, VOCs. Bookmark the permalink. 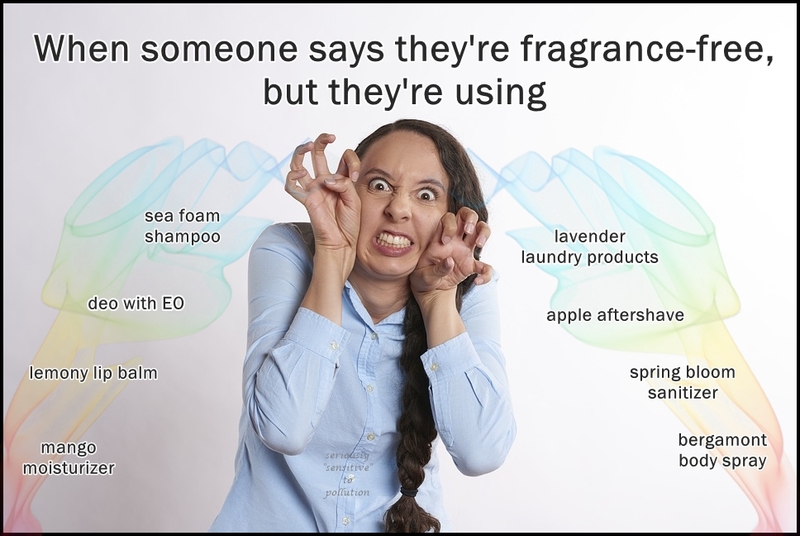 Those products that say green apple or mango peach smell anything but fragrance. And it has and is getting worse as are the headaches and burning in my sinuses. Did you mean to say “smell anything but green apple or mango peach”? 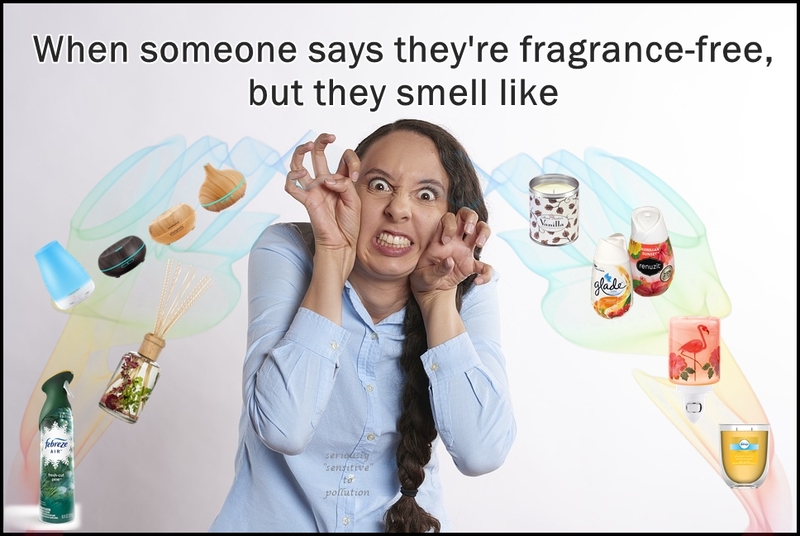 Or “smell nothing like what they’re named”? 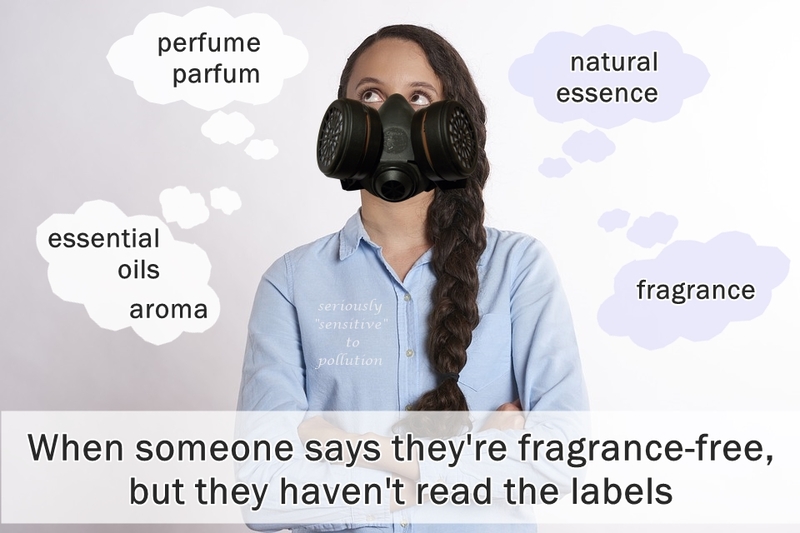 It’s fragrance chemicals that are creating those odours… but yea, nothing like what they’re named. I recognize fake grape as fake grape, but I’d never recognize it as grape.